Sleep is an active process in our body that is required for us to function and live a healthy life. Things we take for granted such as memory, level of energy, stress response , and hormone release are all related to the amount of sleep we get. There are at least 70 diagnosable sleep disorders with various origins. In order to treat sleep disorders it is important to know exactly what you are dealing with. The first step is to screen patients exhibiting the symptoms of a sleep breathing disorder and determining if further investigation is needed. 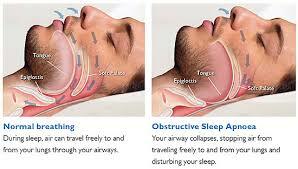 One of the most obvious signs of sleep apnea and other disorders is Snoring. Snoring is simply breathing (usually open mouthed) that causes vibration of the pharyngeal tissues just past the oral cavity. For various reasons the airway can become restricted causing a smaller opening resulting in the flapping of tissues and the resulting snoring noise. The lack of sleep and breathing disturbance in CSA, or often stoppage, is due to the brain not telling the muscles to work. The patient will just stop breathing without gasping or choking . It is very dangerous and cannot be treated in our office. It requires the skills of a Certified Sleep MD. Here we see an obstruction or complete blockage of the airway. This occurs over and over during the patients attempts at a deep sleep. Sleep Apnea levels are classified according to the number of full and partial stoppages of breathing, and levels of blood oxygen, and respiratory events. Our office is involved in treating OSA by providing a device to open the airway. Snoring may or may not be eliminated with our treatment . In addition we must be aware that a CSA may also be present and treated simultaneously. Profiling is ok when it comes to Sleep Apnea. It is estimated that anywhere from 10-30% of the population deals with some degree of Sleep Apnea. Unfortunately only 10% of these suffering know they have this disease. We can pick people out in our office that may have a breathing disorder. This quick 30 second evaluation can save a life. Generally what we do is ask people if they snore. If the answer is yes we then look for signs of Sleep Apnea. 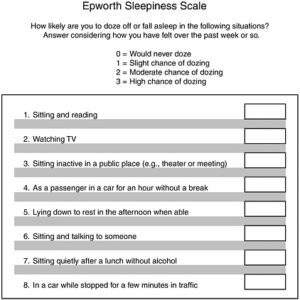 In order to effectively communicate these symptoms a questionnaire was developed that is used by all sleep facilities. It is called the Epworth Scale. Try it. If your score is a 10 or more there may be some issues looking into. However, a low score does not rule out sleep apnea. This may seem like a lot, however this screening can actually be done in just a couple minutes. If we have any concern that there is a slight chance this person may suffer from Sleep Apnea our goal is to send them to a sleep center to be tested for the disease. Sleep Apnea and other Sleep disorders can not be diagnosed or treated without an accurate and recent Sleep Study. As we mentioned earlier, we will not simply make a snore appliance for a patient until we have ruled out an underlying disease. We send patients to sleep labs all over the state. Patients stay overnight in a bedroom setting to have their sleep evaluated. The patient has about 16 leads, similar to an ekg,attached to various parts of the body. Devices to measure O2 levels and body movement are also present. These tests are administered by Respiratory Therapists, Pulmomonologists , and others knowledgeable in recognizing Sleep Apnea based upon the graphs on the screen. The patients are carefully monitored throughout the night and every event is recorded. The techs then mark all the events and send this data to the Sleep MD to form a final diagnosis based upon this study and any other information related to Sleep Apnea. Sleep studies have many uses aside from diagnosis. They can be used as a follow up to see how effective a patients treatment is. The study can be used to titrate, or adjust, a sleep apnea device for maximum performance. 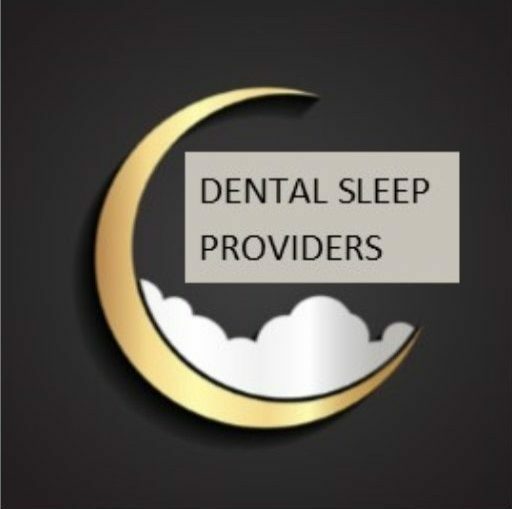 Many times a patient does not wish to visit a sleep center for a study for various reasons. It may be a matter of finances, insurance reimbursement, personal choice , or other factors. 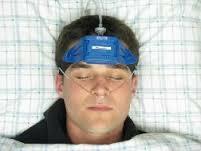 In these cases a home sleep study is utilized. It consists of a headset with about half the leads and therefore half the data. The patient sleeps with the unit on in their own bed and returns it to be downloaded and read by a sleep MD. Although not as detailed as the laboratory study it has proven to be an effective tool in diagnosis of Sleep Apnea. Once a diagnosis of Sleep Apnea has been confirmed the patient and their circle of Doctors and specialists can determine the approach to a healthier sleep.